In this article we will discus about the MOSFET working types and application. we will discus in detail that how many types of mosfet and their working application . 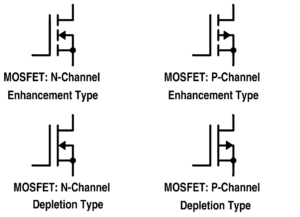 MOSFET are basically to types that is depletion mode and enhancement mode. MOSFET full name is Metal oxide field effect transistor. MOSFET is the very familiar element of electronic family. 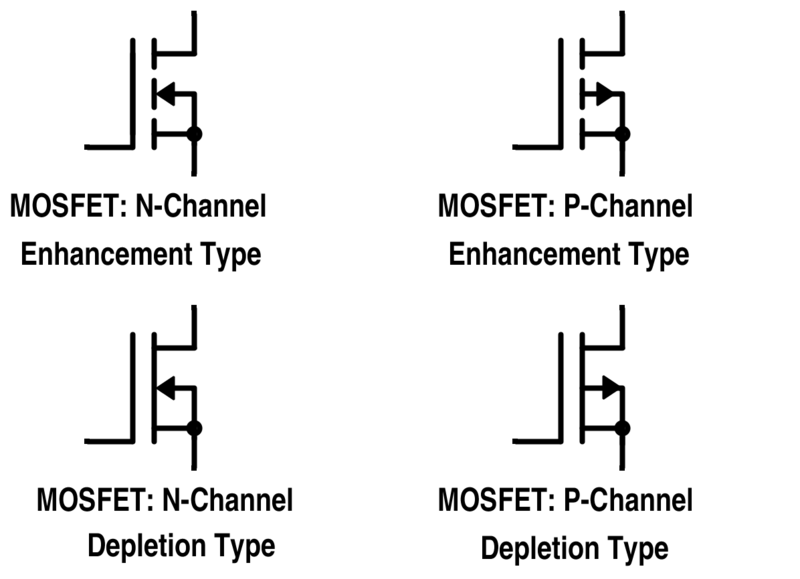 MOSFET is of two types, N-channel type and P-channel type MOSFET. when gate voltage is zero, the channel works in conduction mode. When gate voltage is available either positive or negative then decrease the conductivity. when gate voltage is zero then channel is in non conductive mode. When gate voltage is increases, channel conductivity is also increase. A slab of p-type material is formed of a silicon base and it is known as the substrate. It is foundation upon which the device is constructed. The source and drain terminals are connected through metallic contact to n-doped region linked by N-channel. Gate is also connected with a metal contact surface but it is insulated from the N-channel by a very thin SiO2 layer. There is no electrical connection between gate terminal and the channel of MOSFET. In addition to this, it is insulating layer of SiO2 in the MOSFET construction that accounts for very high impedance. The p channel MOSFET has negative ions so it works with negative voltage. When negative voltage is applied to the gate the electron present under the oxide layer through push downward into the substrate with a repulsive force . The deflection region populated by bound positive charge is available with donor atoms. The negative voltage also attracts holes from positive source and drain region into the channel region. MOSFET generally used in circuits as switch. When gate voltage is less than the threshold voltage it is little or non conduction between drain and source; that is switch off mode. When gate voltage is more than threshold voltage, it attracts the electron to flow in channel and it comes in conduction mode and it is known as switch ON mode. MOSFET can also used as a amplifier. The big advantage of MOSFET is that it requires almost no input current to control load current as compared to BJT. MOSFET is use in millions of electronic circuit. It is widely used in microprocessors and memory circuit. MOSFET is the most important component in embedded system circuit which is use to control as per requirement. MOSFET is a high voltage control equipment which is use to control light intensity, motor and generator control. Hence these are MOSFET Working types and application . if you will find any incorrect in above article you have comment below in comment box.